M. R. Hera, Amatur Rahman, Hua-Jun Hong, Li-Wen Pan, Md. Yusuf Sarwar Uddin, Nalini Venkatasubramanian, Cheng-Hsin Hsu, An Adaptive IoT Platform on Budgeted 3G Data Plans, Journal of Systems Architecture, , , 2018. Md. Yusuf Sarwar Uddin, Rezwana Rafiq, Citizen Assisted Environmental Pollution Measurement in Developing Cities, International Journal of Environmental Science and Development, 5(1), 70-76, 2014. Md. Yusuf Sarwar Uddin, Hossein Ahmadi, Tarek Abdelzaher, Robin Kravets, Inter-contact Routing for Energy-constrained Disaster Response Networks, IEEE Transaction on Mobile Computing., , , 2012. M. R. Hera, Amatur Rahman, Hua-Jun Hong, Pei-Hsuan Tsai, Md. Yusuf Sarwar Uddin, Nalini Venkatasubramanian, Cheng-Hsin Hsu, Adaptive Sensing Using Internet-of-Things with Constrained Communications, Adaptive and Reflexive Middleware, , , 2017. M. R. Hera, Amatur Rahman, Afia Afrin, Md. Yusuf Sarwar Uddin, Nalini Venkatasubramanian, AQBox: An Air Quality Measuring Box from COTS Gas Sensors, 2017 International Conference on Networking, Systems and Security (NSysS), , , 2017. Md. Yusuf Sarwar Uddin, Vinay Setty, Ye Zhao, Roman Vitenberg, Nalini Venkatasubramanian, RichNote: Adaptive Selection and Delivery of Rich Media Notifications to Mobile Users, IEEE International Conference on Distributed Computing Systems ICDCS 2016), , , 2016. Qiuxi Zhu, Md. Yusuf Sarwar Uddin, Nalini Venkatasubramanian, Upload Planning for Mobile Data Collection in Smart Community Internet-of-Things Deployments, 2nd IEEE International Conference on Smart Computing (SMARTCOMP 2016), , , 2016. Md. Yusuf Sarwar Uddin, et al. , The SCALE2 Multi-network Architecture for IoT-based Resilient Communities, 2nd IEEE International Conference on Smart Computing (SMARTCOM 2016), , , 2016. Md. Yusuf Sarwar Uddin, Low-overhead Range-based 3D Localization Technique for Underwater Sensor Networks, IEEE International Conference on Communications (ICC), , , 2016. Mehrab Bin Morshed, Maruf Hasan Zaber, Md. Yusuf Sarwar Uddin, Md Habibullah Bin Ismail, Phone-to-phone Video Data Spreading for Community Health Alerts, rHealth Workshop (co-located with Nsyss 2016), , , 2016. Ayon Sen, S. M. Sohidull Islam, Md. Yusuf Sarwar Uddin, MARQUES: Distributed Multi-Attribute Range Query Solution using Space Filling Curve on DHTs, International Conference on Networking Systems and Security 2015 (NSysS 2015), , , 2015. Md. Nazmus Sadat, Muhammad Tasnim Mohiuddin, Md. Yusuf Sarwar Uddin, On Bounded Message Replication in Delay Tolerant Networks, International Conference on Networking Systems and Security 2015 (NSysS 2015), , , 2015. Farah Tanjeem, Md. Yusuf Sarwar Uddin, A.K.M. 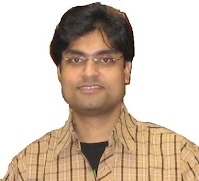 Ashikur Rahman, Wireless Media Access Depending on Packet Size Distribution over Error-prone Channels, The 1st International Conference on Networking Systems and Security 2015 (NSysS 2015), , , 2015. T. Ahmed, M. Basak, T. Sen, Md. Yusuf Sarwar Uddin, Simplified Processing of Video Data for Street Sensing Applications, 4th International Conference on Informatics, Electronics & Vision(ICIEV), , June, 2015. Sadia Shamma, Md. Yusuf Sarwar Uddin, Towards Privacy-aware Photo Sharing using Mobile Phones, ICECE, , , 2014. F. T. Zohora, Md. Yusuf Sarwar Uddin, Johra Muhammad Moosa, Not so Synchronous RPC: RPC with Silent Synchrony Switch for Avoiding Repeated Marshalling of Data, International Conference on Distributed Computing and Networking (ICDCN), 8314, 544-549, 2014. S. K. K. Santu, S. Rahman, Md. Yusuf Sarwar Uddin, Forming a Jury Board: Selecting Least Connected Users in Social Networks, Workshop on Advances in Data Management (WADM), , , 2013. Fatemeh Saremi, Praveen Jayachandran, Forrest Iandola, Md. Yusuf Sarwar Uddin, Tarek Abdelzaher, Aylin Yener, On Schedulability and Time Composability of Multisensor Data Aggregation Networks, FUSION, , , 2012. Md. Yusuf Sarwar Uddin, Md Tanvir Al Amin, Hieu Le, Tarek Abdelzaher , Tommy Nguyen , Boleslaw Szymanski, On Diversifying Source Selection in Social Sensing, Conference on Networked Sensing Systems (INSS), , , 2012. Md. Yusuf Sarwar Uddin, Hongyan Wang, Fatemeh Saremi, Guo-Jun Qi, Tarek Abdelzaher, Thomas Huang, PhotoNet: a Similarity-aware Picture Delivery Service for Situation Awareness, IEEE Real-time System Symposium, , , 2011. Md. Yusuf Sarwar Uddin, Ahmed Khurshid, H. D. Jung, C. Gunter, M. Caesar, T. Abdelzaher, Making DTNs Robust Against Spoofing Attacks with Localized Countermeasures, IEEE Communications Society Conference on Sensor, Mesh and Ad Hoc Communications and Networks (SECON), , , 2011. Md. Yusuf Sarwar Uddin, Fatemeh Saremi, Tarek Abdelzaher, End-to-End Delay Bound for Prioritized Data Flows in Disruption-tolerant Networks, IEEE Real-time Systems Symposium, , , 2010. Md. Yusuf Sarwar Uddin, Brighten Godfrey, Tarek Abdelzaher, RELICS: In-network Realization of Incentives to Combat Selfishness in DTNs, IEEE International Conference on Network Protocols (ICNP), , , 2010. Nam Pham, Raghu Ganti, Md. Yusuf Sarwar Uddin, Suman Nath, Tarek Abdelzaher, Privacy-Preserving Reconstruction of Multidimensional Data Maps in Vehicular Participatory Sensing, EWSN, , , 2010. Md. Yusuf Sarwar Uddin, David Nicol, Tarek Abdelzaher, Robin Kravets, A Post-disaster Mobility Model for Delay-tolerant Networking, Winter Simulation (WinterSim), , , 2009. Md Ahsan Arefin, Md. Yusuf Sarwar Uddin, Indranil Gupta, Klara Nahrstedt, Q-Tree: a Multi-attribute Based Range Query Solution for Tele-immersive Framework, ICDCS, , , 2009. Md. Yusuf Sarwar Uddin, Hossein Ahmadi, Tarek Abdelzaher, Robin Kravets, A Low-energy Multi-copy Inter-contact Routing Protocol for Disaster Response Networks, IEEE SECON, , , 2009. Qing Cao, Debessay Kassa, Nam Pham, Md. Yusuf Sarwar Uddin, Tarek Abdelzaher, Virtual Battery: an Energy Reserve Abstraction for Embedded Sensor Networks, RTSS, , , 2008. K. R. Kamal, Md. Yusuf Sarwar Uddin, Parametrically controlled terrain generation, 5th international conference on Computer graphics and interactive techniques, , 17-23, 2007. K. Raiyan Kamal, Md. Yusuf Sarwar Uddin, Repeated Magnification: A new Approach of Generating Artificial Mountain like Terrain, International Conference on Computer Graphics and Interactive Techniques in Australasia and South-East Asia, , , 2006. Md. Yusuf Sarwar Uddin, Md. Mostofa Akbar, Addressing Techniques in Wireless Sensor Networks: A Short Survey, Proceedings of the 4th International Conference on Electrical and Computer Engineering (ICECE 2006), , 581-584, 2006. Md. Yusuf Sarwar Uddin, M. A. Rahman, Md. Mostofa Akbar, Hierarchical Numbering based Routing Protocol for Wireless Ad Hoc Networks (Poster, Proceedings of the First International Conference Next-Generation Wireless Systems, ICNEWS 2006, , 345-349, 2006. Tanvir Al Amin, Imranul Hoque, Md. Yusuf Sarwar Uddin, Service Oriented Architecture for a Multichannel Network TV System, International Conference on Computer and Information Technology, , , 2005. Md. Yusuf Sarwar Uddin, Nilothpal Talukder, Md. Abul Kashem Mia, A Heuristic Approach to Solving the Distinct $p$-Center Problem, International Conference on Computer and Information Technology, , , 2005.